Gardening gloves protect gardeners' hands while they work. 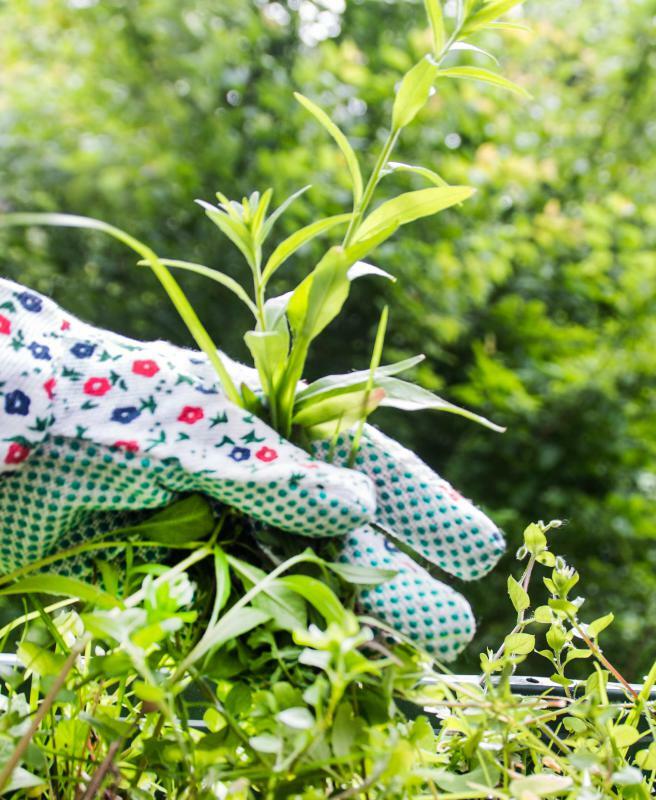 By wearing gardening gloves, you can protect your hands from cuts and scratches. 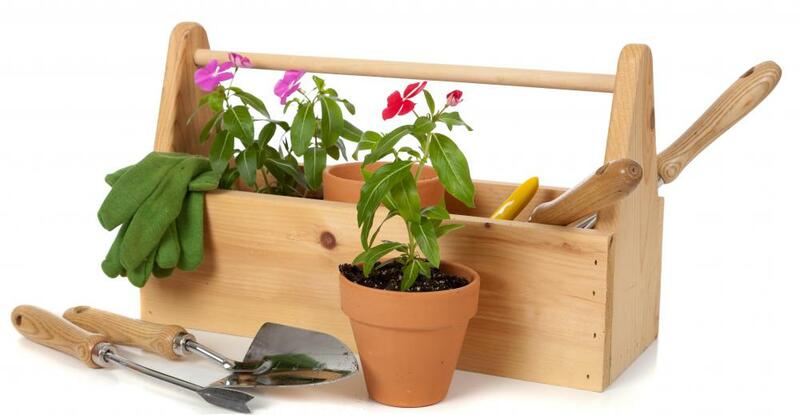 When working in the garden, a gardener has to deal with dirt, sticks, and rocks that could cause cuts or scratches. Gardening gloves are used to protect hands from such gardening hazards. The type of gardening gloves available depends on the type of gardening the hardener wishes to do. Some gloves are better tailored for wet jobs, some for delicate jobs, and some for abrasive jobs. Whichever gloves are chosen has to be durable enough to stand up to the amount of digging and pruning the gardener has to do, and yet be flexible enough to allow the gardener to grasp and pull. It is common to see gardening gloves made out of cotton. Cotton is lightweight, flexible, and cheap to make and protects the hands from dirt. However, cotton gloves do not provide much protection from thorns. In addition, they get heavy when they are wet, and that moisture can chill the gardener’s hands on a cold day. Cotton also wears out easily which means they have to be replaced often. To combat the shortcomings of cotton gloves, gardeners can turn to other types of gardening gloves. Composite gloves made from both cotton and leather. They wear better than cotton gardening gloves, which means they don’t have to be replaced as often. The downside of these gloves is that they still get wet and do not provide much protection from thorns. Pure leather gloves wear better and provide some protection from thorns, but still get wet. Spandex/Lycra® composites keep moisture away from hands and are made with nylon on the fingers to enhance durability. Rose gauntlets are specially made to protect hands and fingers from rose thorns. These gloves often have long sleeves that also protect the arms from punctures. Landscaping gloves have padded palms that help prevent against blisters when using digging tools. Gardeners who don’t like to wear gardening gloves can turn to a spray-on alternative. Spray on gloves coat the hands with silicon and provide protection from grime and plant based oils that could irritate a gardener’s skin. No matter what type of gardening gloves the wearer uses, they should fit properly. A proper set of gloves will protect the gardener’s hands from a variety of hazards and allow them to grasp things. 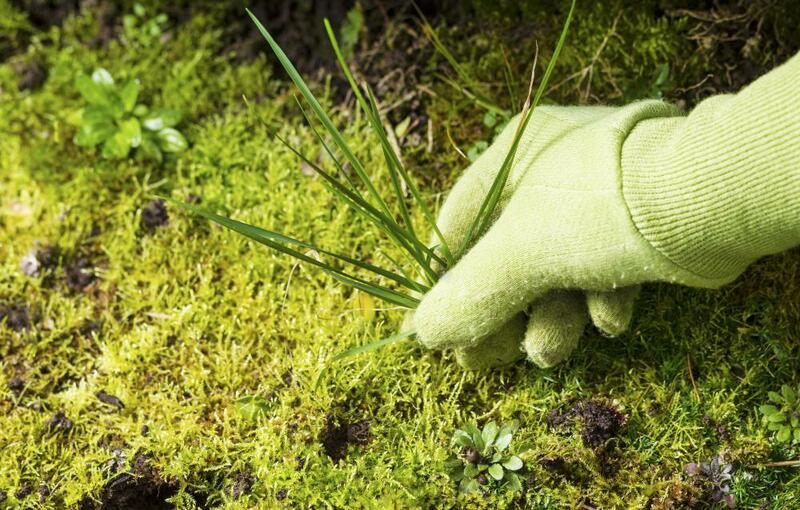 Wearing gloves that are too big may prevent the gardener from getting a good grip on tools. Gloves that are too small can cause blisters. What are the Advantages of Rooftop Gardening? I love to garden but I always have trouble finding a pair of gardening gloves that works for me. I have a strange condition where my hands sweat a lot. This is even worse if my hands are covered in something. My problem is that if a gardening glove is built really tough it usually doesn't breather and my hands sweat like crazy. But the lighter more breathable gloves often don't stand up to some of the tougher gardening tasks. So I can never quite find the right pair of gloves. Scientists need to develop some super strong but very breathable material and start making gardening gloves out of it. Anyone who is serious about gardening should probably be wearing gardening gloves. Over a long day and season of gardening you hands can take quite a beating. It is not just that you are using a lot of tools and getting your hands dirty. You also have to contend with a lot of natural plant defenses with are designed to rough up and irritate your hands. A long day of weeding without gloves on can leave your hands red, bleeding and chapped. Do yourself a favor and get a pair of gardening gloves. They are cheap and you will save yourself a lot of pain.